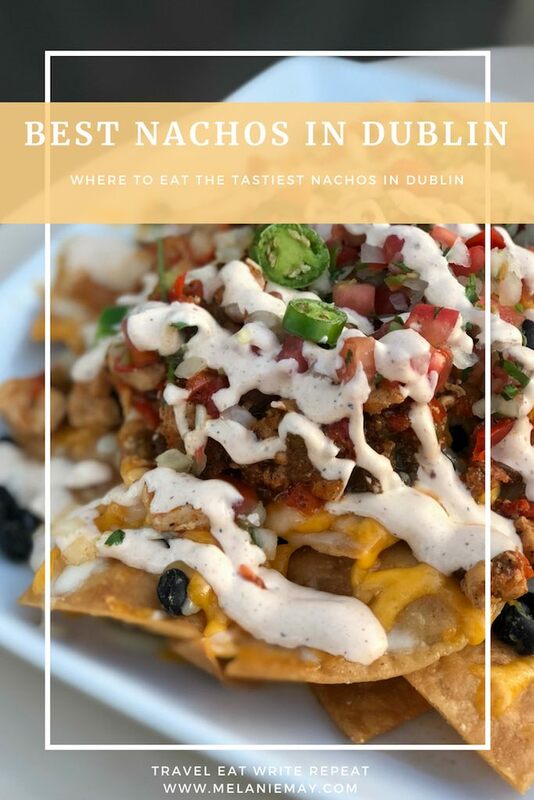 Best Nachos in Dublin Suburbs – this is the round up of some of the best nachos in North Dublin and South Dublin. Nachos should be cheesy-crunchy-spicy-salty and smothered in sour cream and guacamole. Oh, and they should come in massive sharing size portions too. Am I right? But you don’t have to go into Dublin city centre to get your hands, and mouths, on great nachos. There are loads of great restaurants in the Dublin suburbs doing epic nachos. And I should know, I’ve eaten my fair share. So, without any further ado, ladies and gentlemen, I give you my best nachos in Dublin suburbs. These nachos (main blog photo) make every ‘Best Nachos in Dublin’ list and for good reason too! The smoky beef is excellent and there are perfect proportions of guac, sour cream, chips, jalapeno, and melty cheese too. 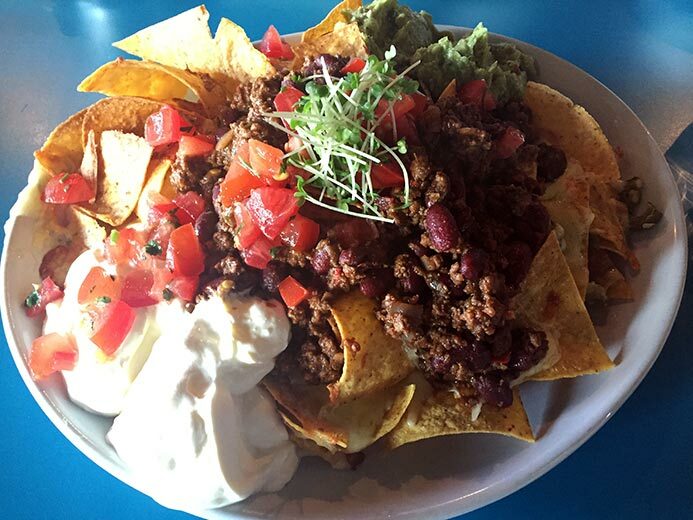 Best of all, you can get these super nachos every Tuesday for just a tenner! These hand cut nachos are gluten-free and are smothered with 16-hour pulled chilli beef brisket, smoky chipotle salsa, sour cream, house pickled jalapeños and micro blade cheddar. Get them as a veggie option for a bargain €9 or €12 for the meaty kind. One of my favourite restaurants in Dublin. The nachos in Riba’s in Stillorgan are super tasty and the chips are made in-house, not from a packet. They are available on the Brunch Spectacular menu. These nachos will only set you back €14 and they are the perfect size for sharing but I have demolished a whole portion myself. Hogs and Heifers calls this its Nacho Party and its perfect for sharing. This €12.50 plate is piled high with crisp nachos topped with beef chilli con carne, sour crème, tomato and avocado, pickled jalapeño and gooey grilled cheese. Party on, dude. These are supersize nachos! These are fully loaded and packed full of flavour. The nachos are made in-store and you can get a whooper plate of veggie or chilli con carne nachos with roasted peppers, onions, sour cream, salsa and jalapeno. Naked nachos start at just €1.70 and you can just add the toppings of your choice to make a bespoke bowl of nachos. Check out these Ballinwillan wild Irish boar nachos with tomato salsa, melted Cheddar, guacamole and soured cream from The Washerwomen in Glasnevin. This massive plate is €15 or €14 without meat. So what did you think of my list of the best nachos in Dublin suburbs? Are your favourite nachos on the list? If not, let me know and I’ll check them out. I love discovering new nachos to nosh, especially really good vegetarian nachos in suburban Dublin. Love tapas? Check out my list of the Best Tapas in Dublin – where to eat Gambas al Aioli and Gambas Pil Pil. Here’s my blog post listing where you can find the best Dublin 5-star hotel afternoon tea. Looking for somewhere to go? Check out my review of Number Twenty Two Dublin. And my review of Wrights Findlater Howth. 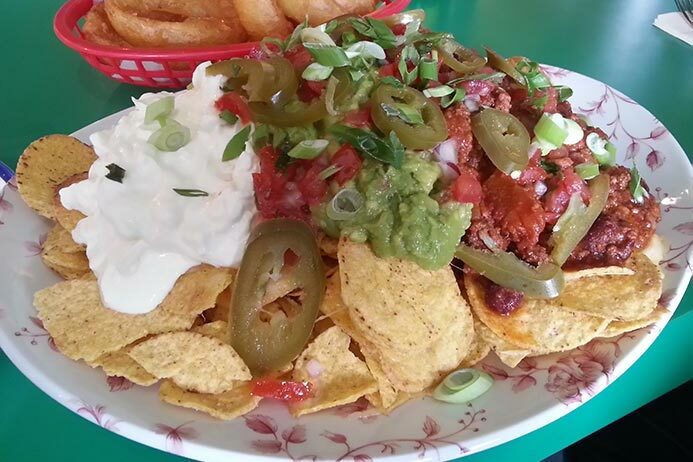 If you like this best nachos in Dublin suburbs post, please share with others. Oh I most certainly will check them out. I love nachos and always looking for more to add to the list. Thanks for the tip.